This is a nice clean vintage Bull Nose plane. It's marked not marked, by the maker, but is the same size and shape as the STANLEY No. 75. 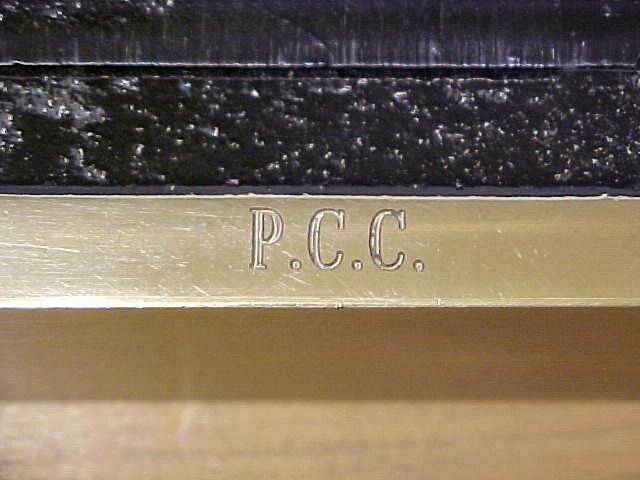 This one is marked on one size "PCC", but we don't know what those letters refer to. This plane is in very good shape, has a type of chrome plating that appears to be gold in color on the base that is usually bare metal, no sign of use, near like new condition, with about 99% black paint and chrome plating intact. The cutter is sharp, good length, no cracks, no damage. 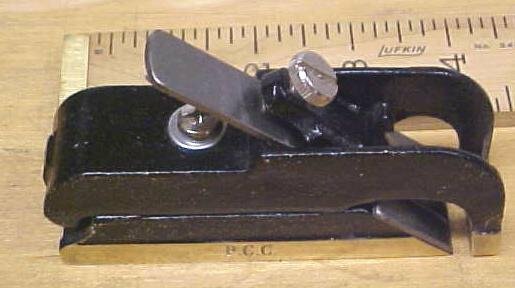 Measures 4 inches long x 1 inch wide cutter. 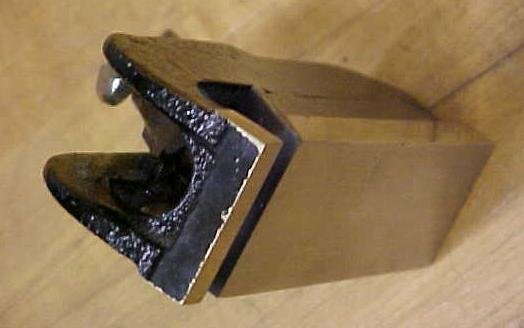 A nice woodworking tool! Items Similar To "Bull Nose Plane Like New! Stanley?"